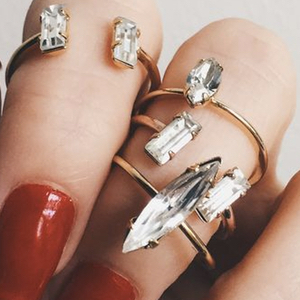 A fashionista could never have too many rings in her accessories collection to choose from. Some of us have our favorites that we wear on the daily while others save their intricate pieces for special instances but when it comes to statement rings, there are no limits. Here is a guide of multiple styles that are top rated to be apart of the ring bling! Although they might not be huge rocks you can see from a mile away, delicate jeweled statement rings are a style you should always have on hand. Cuff rings are a new design that we see everywhere today and with added simple jeweled shapes or diamonds, you have a universal look for day to night. The best part about this specific design is that they can be a part of your work attire and also your more dressed up ensembles. A simple look that speaks out loud, with gold bands and clear jewels, you won’t be able to resist this effortless style. These rings can also be added to any fashion trend from bohemian to preppy and no matter what they will fit right in. Stack them with others or wear individually, you won’t be sorry when adding these types of rings to your bling pile. 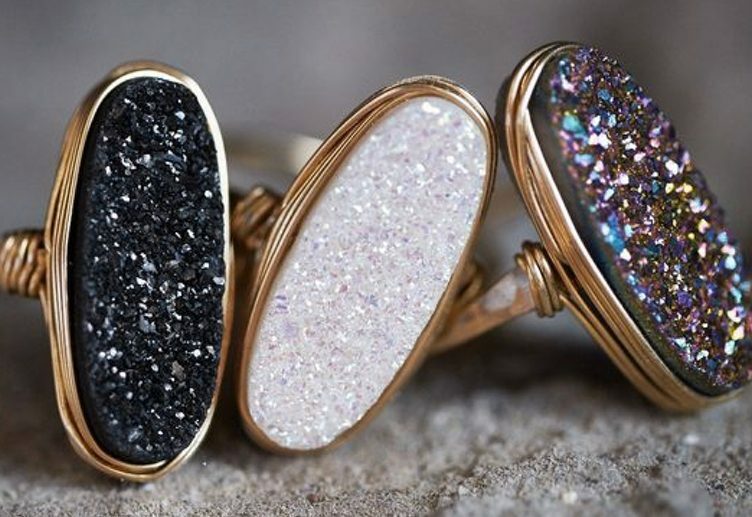 Crystals and stone rock statement rings bring out the bohemian vibes in everyone. From amethyst to quartz, crystals are one of the most popular pieces to incorporate into jewelry this season. Although these rings may be large, you can still accommodate this style into your casual wear. A boho ensemble is my favorite way to create an eye-catching outfit. If you aren’t the boho type, transform your personal looks with ring bling by adding huge rocks to all your favorite dresses. Overall, the oversized feature is what won me over. You won’t be able to go a day without someone complimenting your accessory! 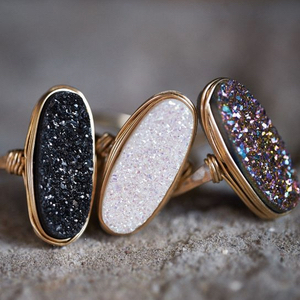 Speaking of crystals, sparkling quartz rocks make for a stunning ring design. You can find this style in a variety of colors so that you can find your favorite pick! I personally love the delicate look and texture along with the shimmer or the rock itself. Shiny things are hard to resist- every girl needs some bling in her life and a crystal ring will do just the trick! An advantage this sparkling design offers is that they can go the casual or upscale route. Wear with your denim romper and tie up sandals or with your matching crop top and bandage skirt and you have a ring fit for all your closet staples. Always stock your jewelry collection with something sparkly. If you are looking to show off the wow factor with a little more detail, a full ring piece will be your winner! Detailed pieces like the one pictured by Elise Dray are glamorous and feminine in all the right ways. Curved designs and shapes, intricate diamonds and an elegant look, this ring is ready to take on all the black tie affairs. You could be a bride and want an amazing accessory piece and fall head over heels for this one! It can easily be apart of a floor sweeping gown get up for a big time event where you need a shock factor. 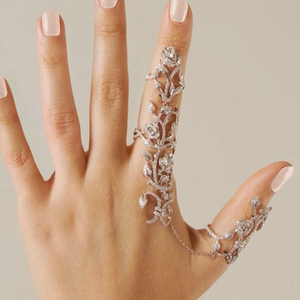 This ring can replace a tiara any day! Feel like a princess with this beauty of a ring! 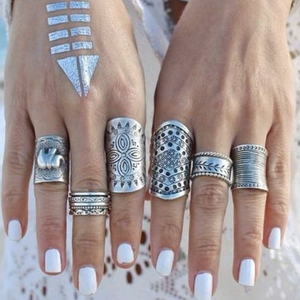 Filling up with silver on your fingers makes for an approved style! 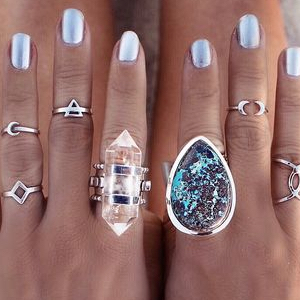 Silver statement rings are a huge craze that most people have been in love with this season. There are infinite designs out there to choose from. Creatively detailed with patterns and added layers, silver rings are for all day wear. If you can’t get enough of just one, throwing on a few will make for a statement of an accessory look. 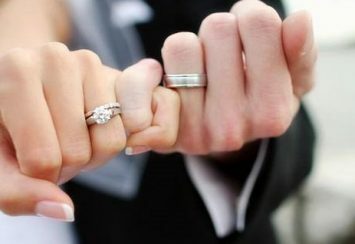 Whether a large single diamond or a bundle, diamond rings that are unique and chic will grasp all the attention. Luxurious designs make for a go to accessory when you’re looking for something that needs to be on a glamorous level. With enormous shine, sparkle and all that jazz, slip this design on to be named the ultimate fashionista. 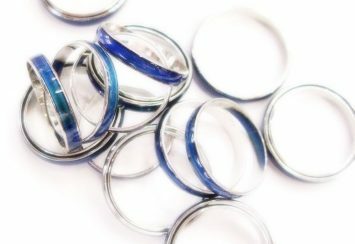 To get ideas on fun colors for ring styles and other accessories, take a read at Shades of Blue. 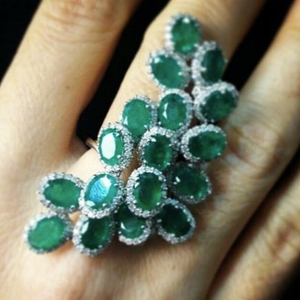 Diamond rings are a treasure we should all have in our jewelry boxes. 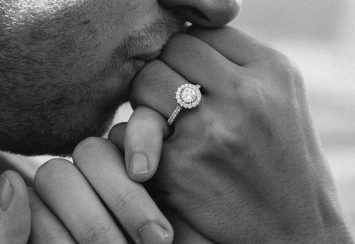 Even those passed down from family generations, your mom to grandma and even great grandma, a diamond ring can mean more than just a fashion trend. When you are looking to upgrade your fashion accessories, add something with a statement and join the ring bling! Inspiration Mood Rings: Get One For Each of Your 20 Moods!